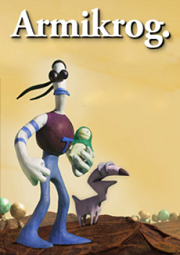 Armikrog, coming from the mind of Earthworm Jim creator Doug TenNapel and successfully Kickstarted by Pencil Test Studios all the way back in January 2013, has finally graced our Steam libraries and screens with its presence, and it’s time to give it a judgement nearly 2 years in the making. Can the luminaries who entertained us so well in the past bring that magic back in the future? 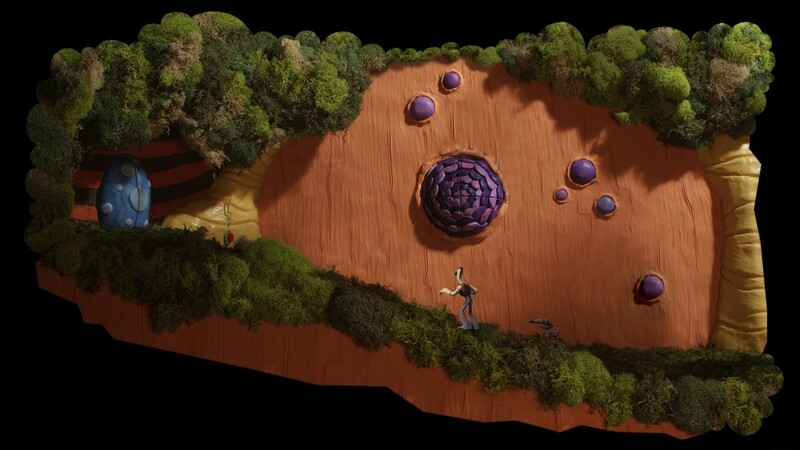 Armikrog begins with a planet dying from an unspecified disaster. Desperate for the resources they need to survive, they send a succession of three astronauts to a distant planet to retrieve them. 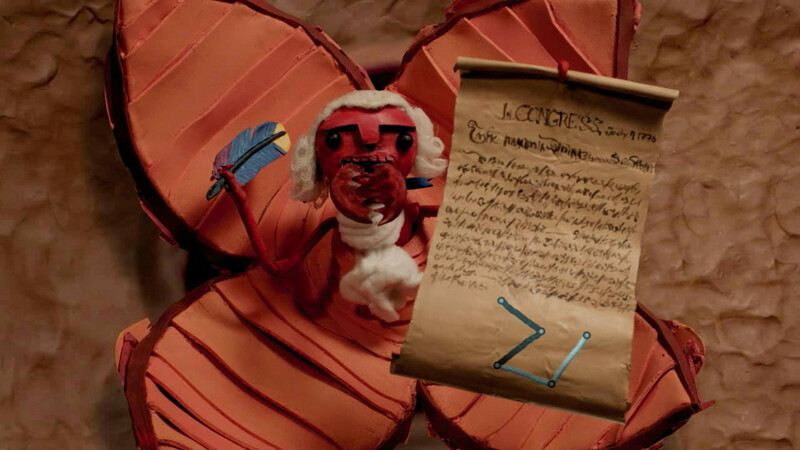 Two have failed, and now it is up to Tommynaut, along with his friend/pet dog-thing Beak-Beak. While this seems dark, it’s told by a delightfully humourous song accompanying a stylised succession of drawings, which I thought was a nice touch, especially since the game had been originally billed as having a good sense of humor. 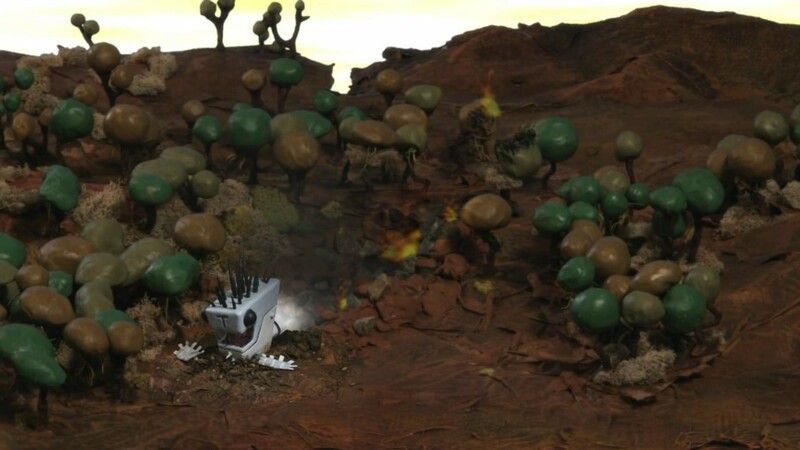 Shortly after leaving, Tommy and Beaky crash land on an unknown world, and - after a close encounter with a giant fuzz monster - take refuge in a tower that abruptly locks them in. This is where the humor ceases to be an aspect of the game. Apart from a single window in the first room that shows a series of short cutscenes when clicked on, the rest of the game is a series of frustrating design decisions and poor gameplay implementation that overshadows every other aspect. 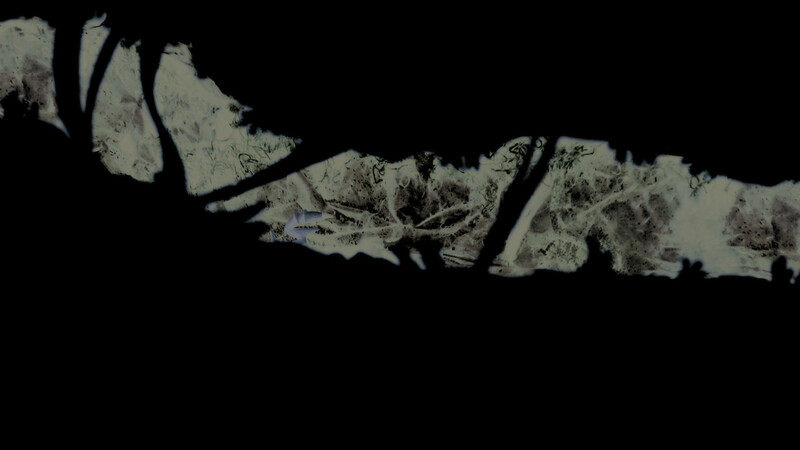 Indeed, what is this place? It looks like it’s made from clay. 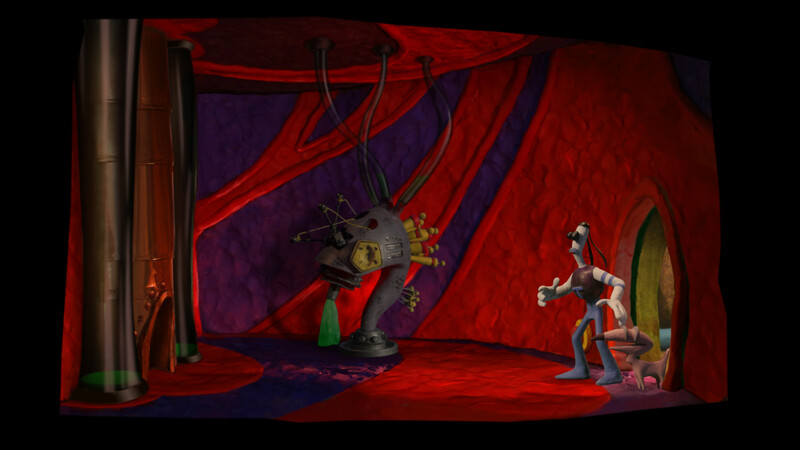 Adventure games live and die on the strength of their puzzles, and unfortunately this is one of the major areas where Armikrog falls flat. Most of the tasks needed to progress are simply ‘find the lever that goes in the device that opens the door’, and even those are painful, with the design of the levers often blending into the background clutter. 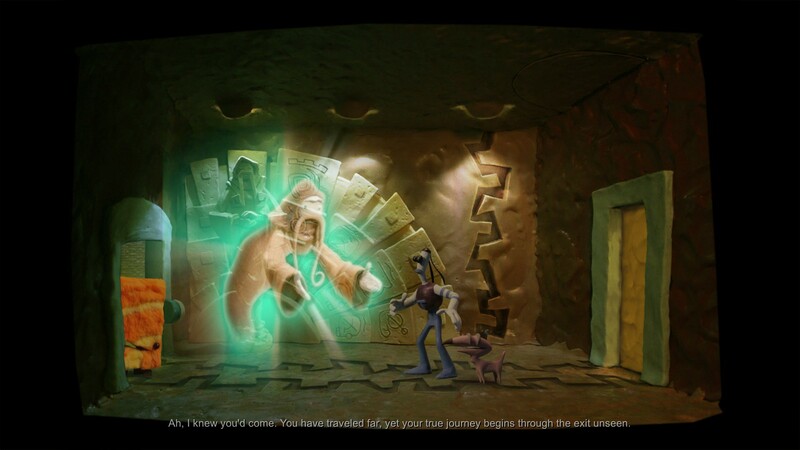 Other puzzles are simply impenetrable unless you have been religiously following the Kickstarter Backer updates, such as the ability Beaky has to talk to the Octopus elevator things, but only when he’s separated from Tommy and using his weird psychic vision. 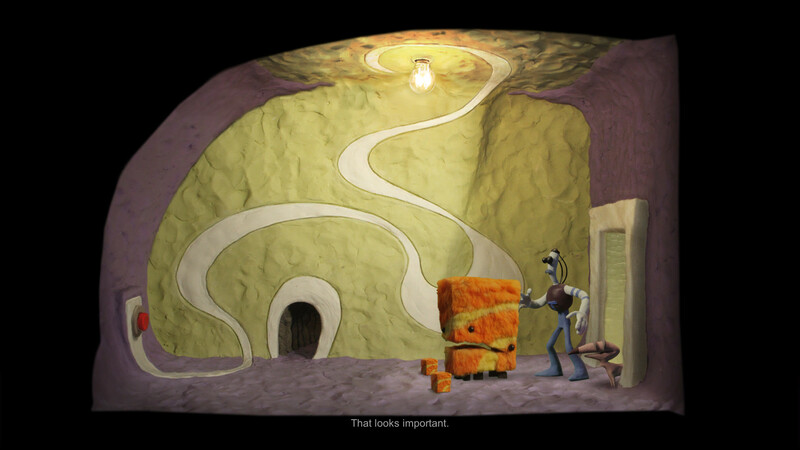 Other puzzles are just attempts to pad the time, not because the puzzles require a lot of thinking, but because they require moving back and forth between multiple rooms in order to change what buttons are being pushed, or to memorise the different parts of the solutions to other puzzles. 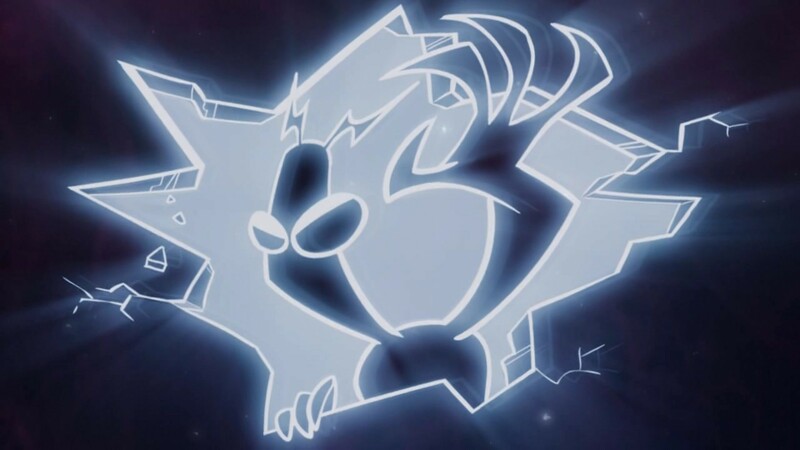 The amount of puzzles that outright required the use of Beak-Beak got to inappropriately weird levels. 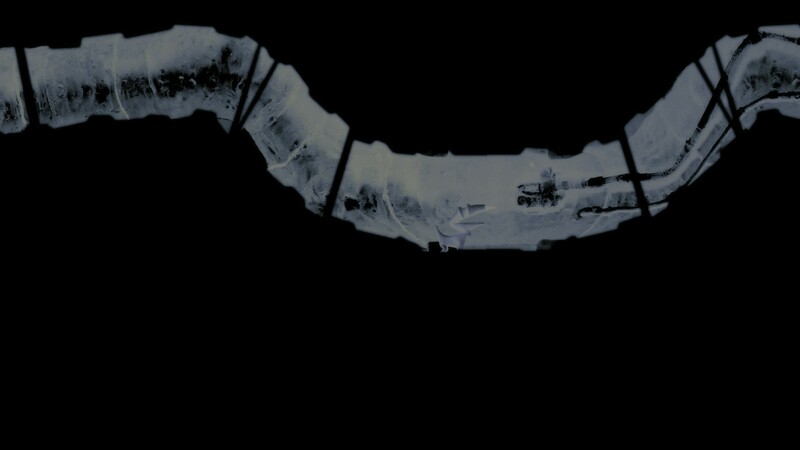 I can get using Beaky to hold down a weight activated switch, I can get tunnels that only he can traverse. 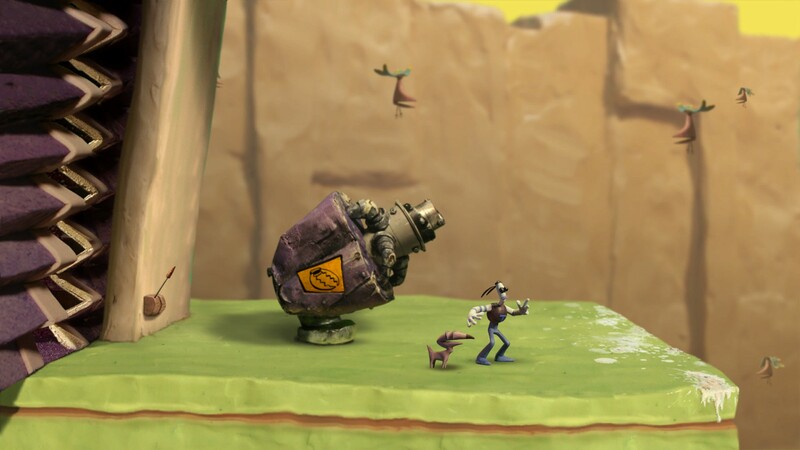 What I do not understand is why the hell can’t Tommy bend down, just a little, in order to press a button. The worst part is, the game isn’t even consistent with that, most buttons require swapping to Beaky in order to progress, and one, right near the end, requires Tommy to press it. 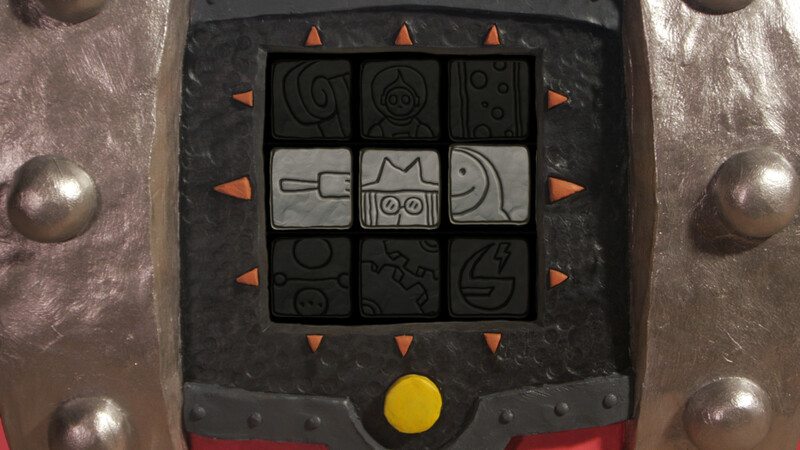 The only puzzles worthy of the title are the rotating, block sliding, picture puzzles required to enter the different towers Tommy enters through his journey, which manage to be challenging, but generally aren’t frustrating - I like that kind of puzzle, though your mileage may vary. 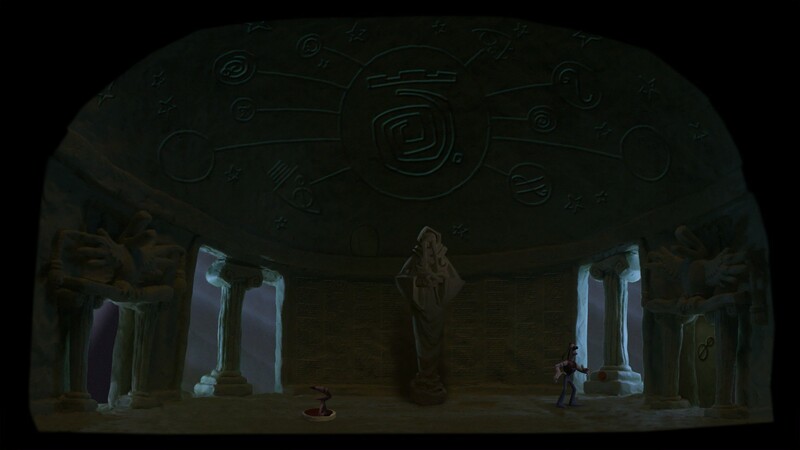 The second important aspect to adventure games is story, why else would any reasonable human sit through what often are stupid, illogical puzzles without simply closing the game? 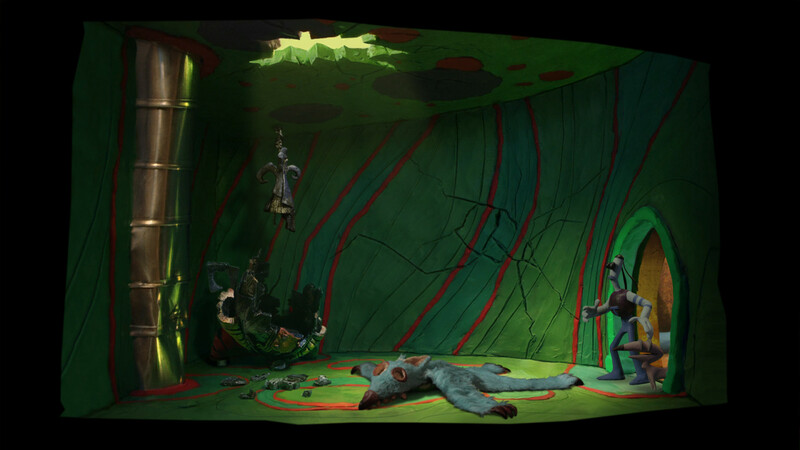 To Armikrog’s credit, the story is actually pretty good - not great, by any stretch, but solid enough. 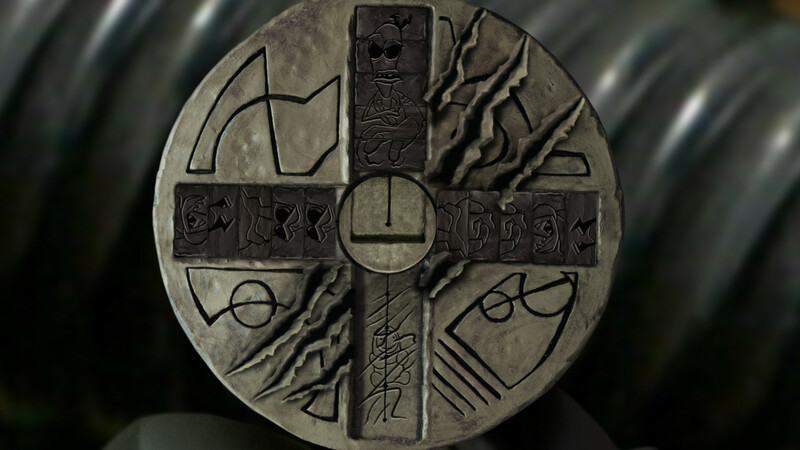 Sadly, the bulk of the game’s backstory (and the context behind everything you’ve had to do so far), is stuffed into the last 10 minutes of the game as part of the solution for the final puzzle. The amount of times I sat thinking ‘what the hell happened here?’ or ‘I have no idea what is going on!’ very quickly got to the point of frustration. 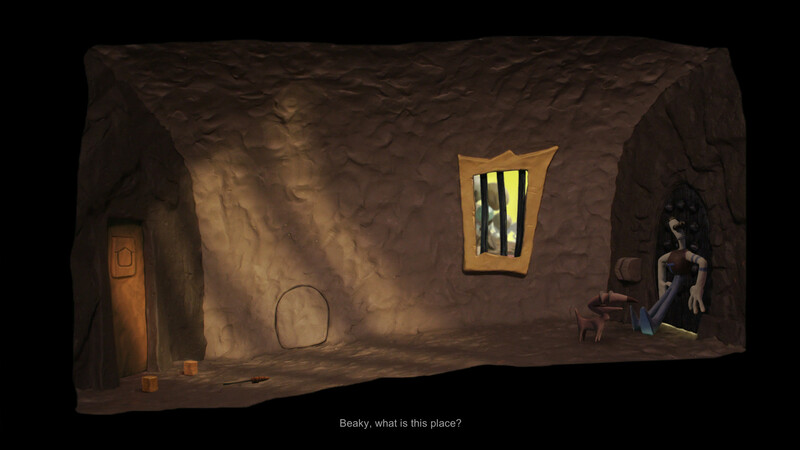 Most other games utilising a similar sort of mystery very kindly dribble little clues throughout the experience - e.g. 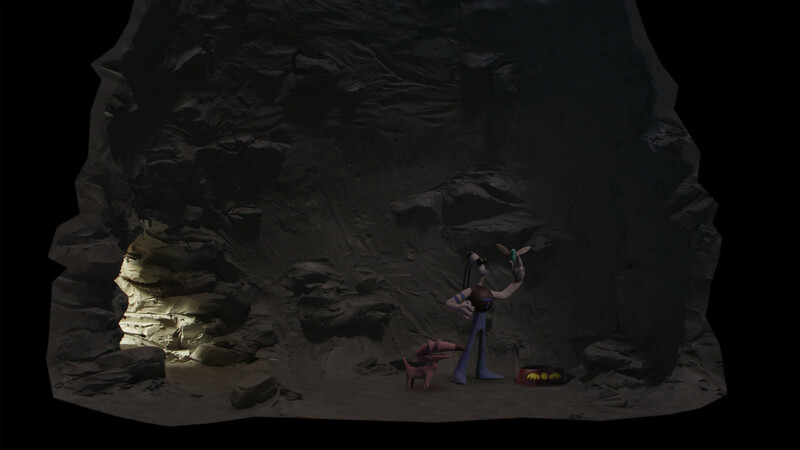 the vaults in Fallout: New Vegas - while Armikrog was content to let me get more and more frustrated by the lack of any context for what is going on until the very end of the game. What would I do without you Beak-Beak, I would have to press the buttons...myself! Controlling the game is a pain in the neck. 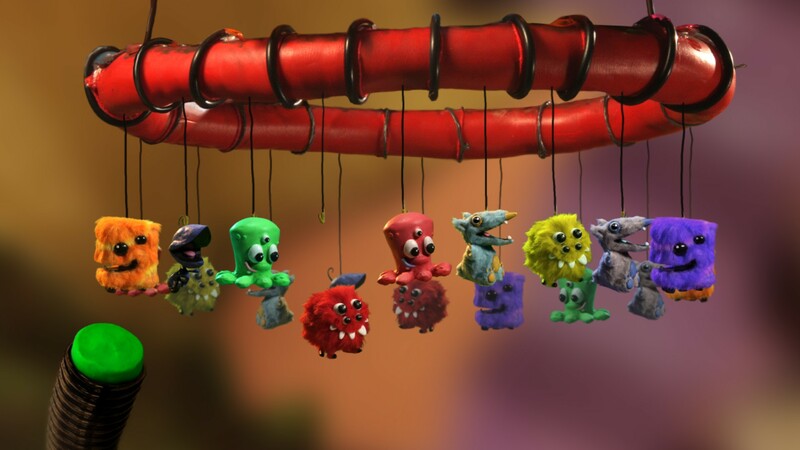 There is a lack of design consistency that works against the game when it comes to character movement, as sometimes the mouse button can be held constantly for continuous movement, while at other times continuously holding the mouse button will lead to the character turning around and moving away, or simply bumping up against an invisible division in the game world. 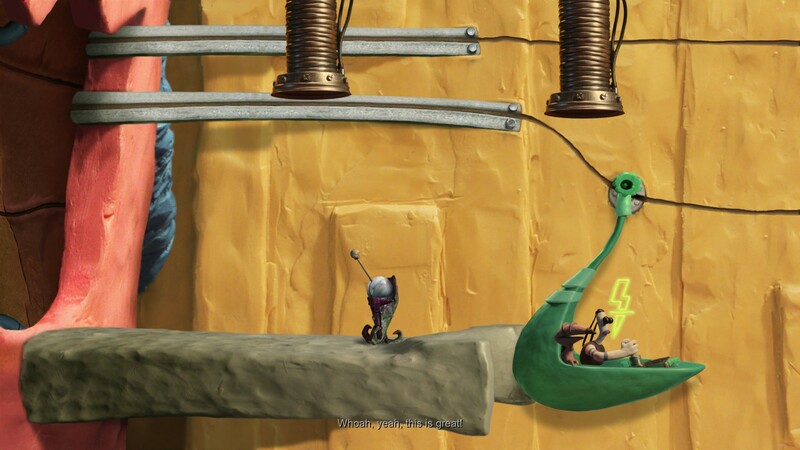 At times, particularly when climbing down from an obstacle, the game requires a mouse click in a precise location (that changes from obstacle to obstacle) in order to progress. For a genre that hasn’t changed much in the last 30 years (seriously, you point, you click, and you move), it’s weird to see it handled so poorly, especially by veterans of the genre. 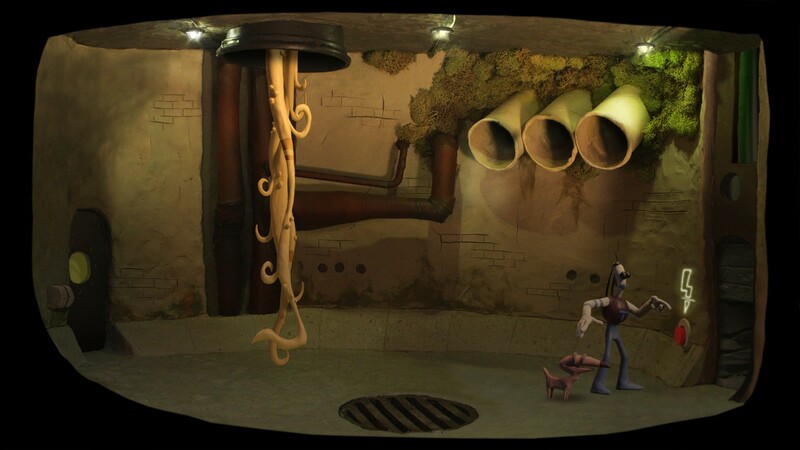 Negatives aside, Armikrog’s design aesthetic is gorgeous. 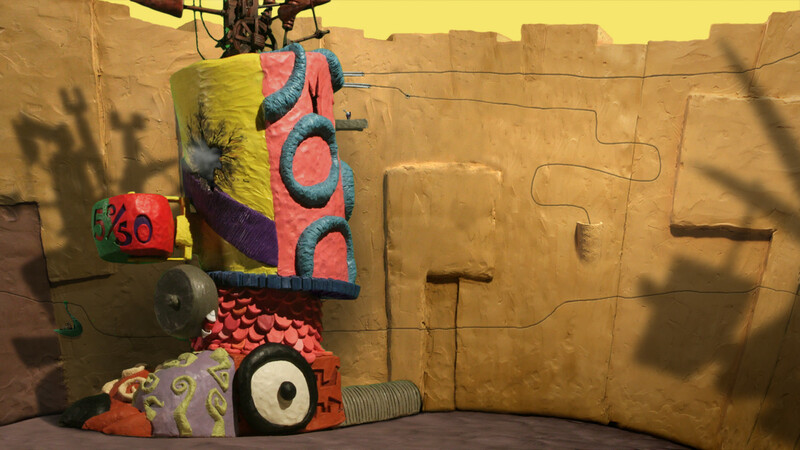 Claymation has never ceased to amaze as a medium for making movies, and the transition to games was handled well by Pencil Test. Character animations are fluid, the environments are gorgeous for the most part, and on the whole it shows a well thought out design philosophy. 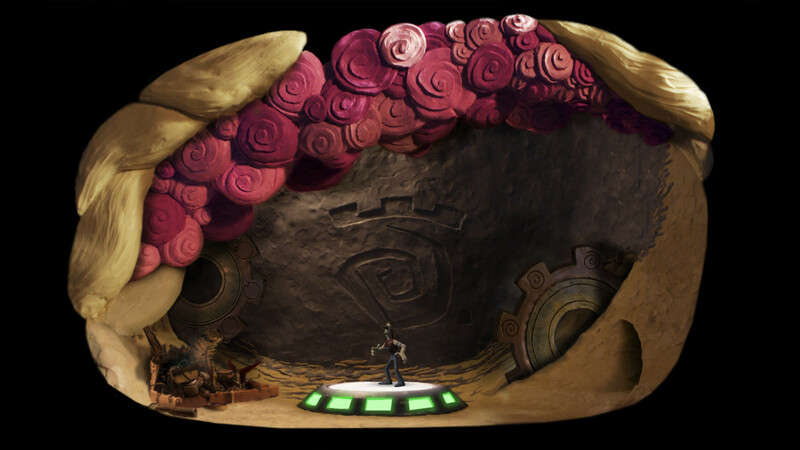 The sound direction and voice work is solid, although there are issues with certain lines not playing, and subtitles often are not correctly synced (if they show at all), and the soundtrack is wonderfully playful, although it suffers from the same issues as the voice acting. 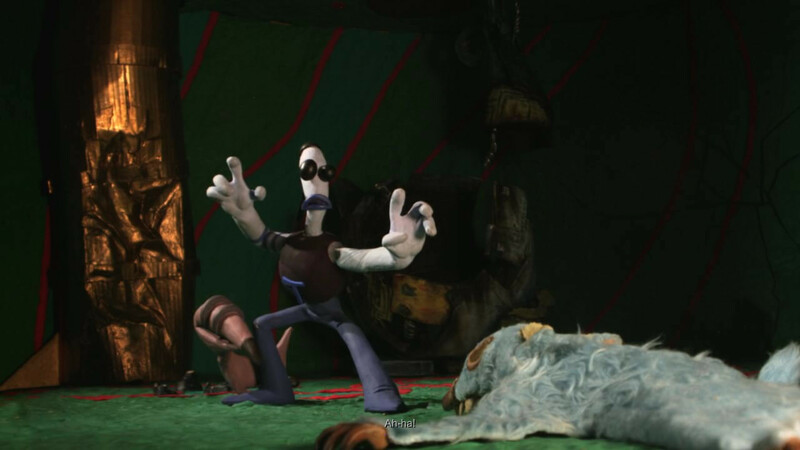 Armikrog is a disappointment. The story is good, but sits entirely at the end of the game. 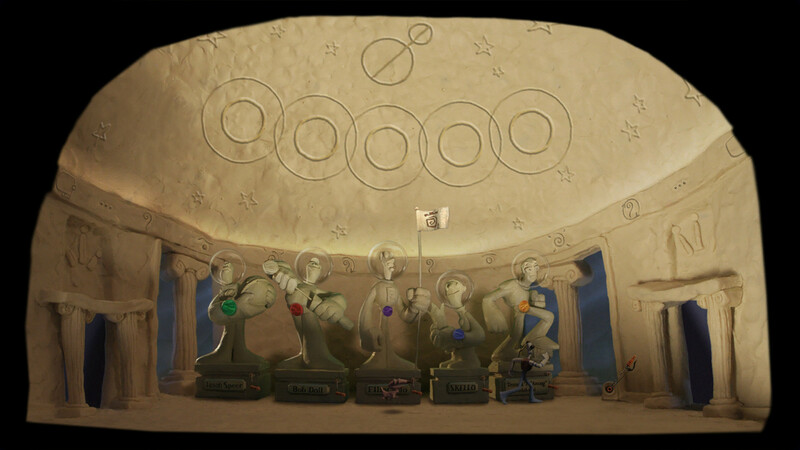 The puzzles are hindered by poor gameplay and occasional moon-logic, and are more frustrating than challenging. 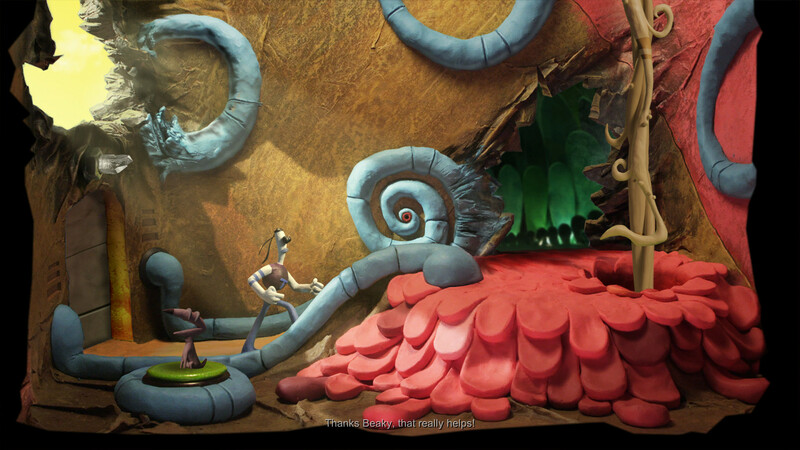 The claymation design aesthetic is gorgeous, but is brought down by the poor control scheme and lack of coherent gameplay. 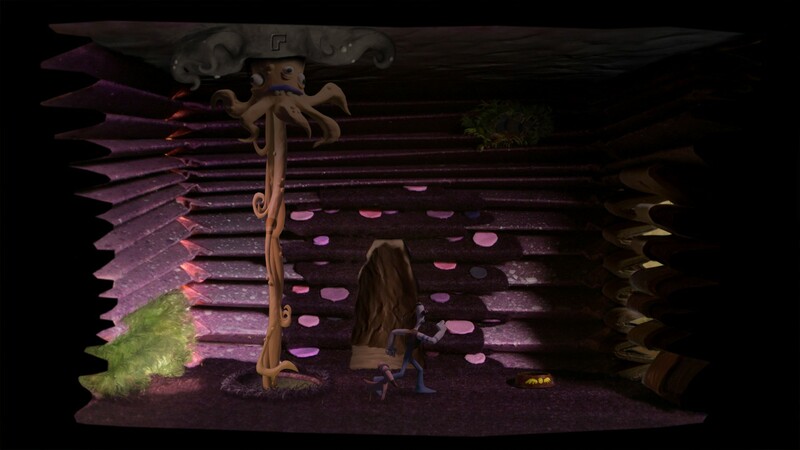 In short, Armikrog fails to live up to the promises made in the Kickstarter, and doesn’t even have the decency to be bad enough for people to get angry about that. 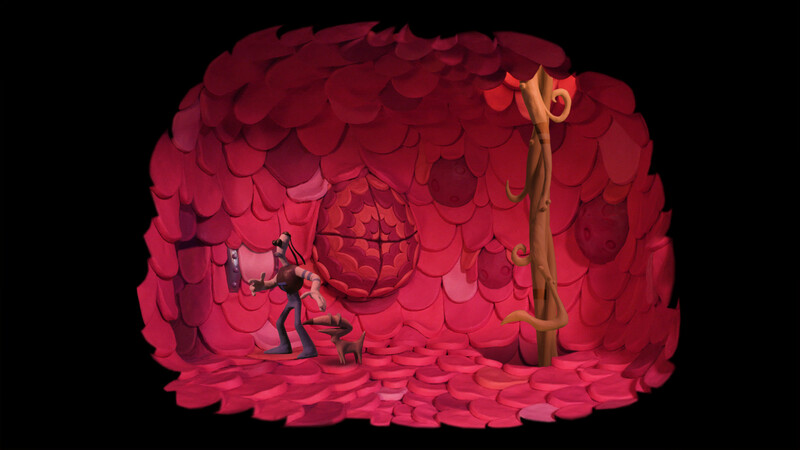 Art: Even if it’s not your preferred style, the claymation is masterfully realised. Puzzles: A few instances of a complete lack of logic. Most are pretty straightforward though. Character Swapping: On the whole good, but a few puzzles that require swapping characters seem odd. Story: It’s good, but not worth sitting through 90% of the game utterly confused about what’s going on. 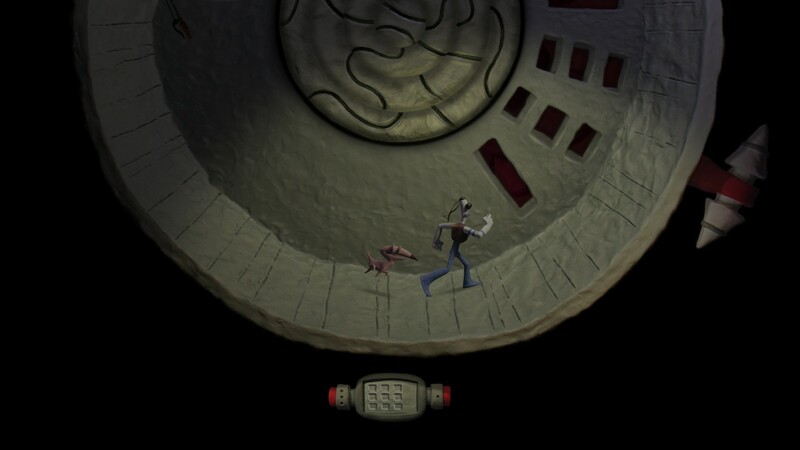 Gameplay: Items are hard to notice, and the mouse often needs to click in very exact spaces to do anything. 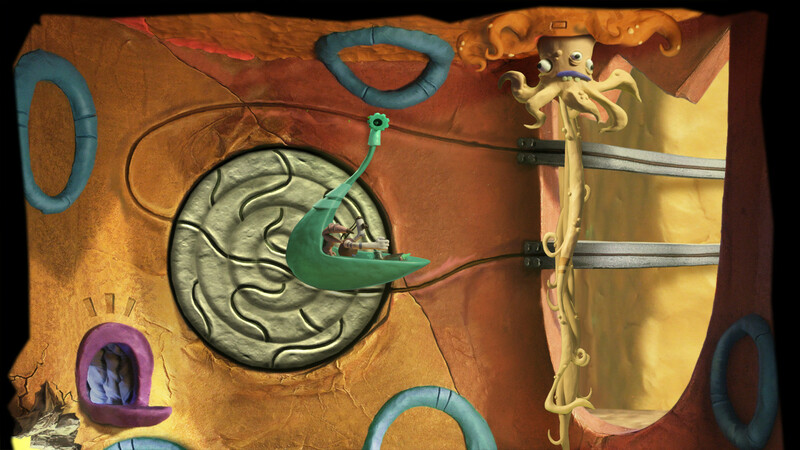 A brilliant visual aesthetic brought down by fiddly, obtuse puzzles and poor gameplay. Yeah the visual style sold me the game. It's so unfortunate that it's not that good.